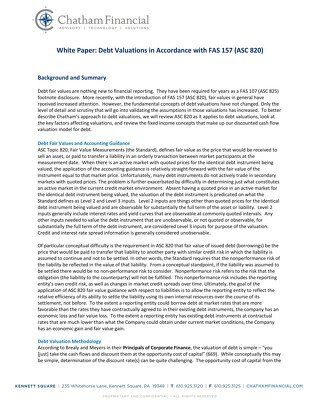 Learn how to incorporate non-performance risk in valuations of IR and FX in accordance with IFRS 13. Includes "real-world" examples of the process used by most dealer banks and major market makers. 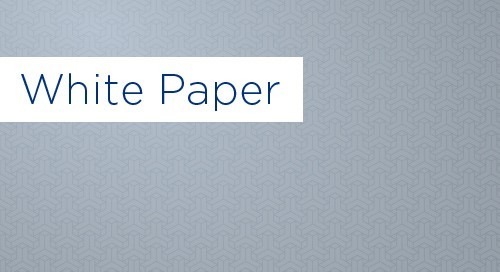 This White Paper explores certain key areas companies should consider when "operationalising" the new hedge accounting rules of IFRS 9 for xccy swaps. An independent study of more than 1,500 US, public companies examining their risk exposures, hedging, and hedge accounting practices as reported in their 2015 annual 10-K.
For a liability sensitive financial institution, reducing asset duration or extending liability duration (or both) can have the desired impact on the FI’s interest rate risk position. Balance sheet risk management hedging transactions are typically not “proprietary trading” nor should the BSRM programs themselves be required to implement a compliance regime. Municipal bonds can be an important asset class to hold in an FI’s investment portfolio, offering lower taxable income and higher tax equivalent yields than similarly rated investment alternatives. 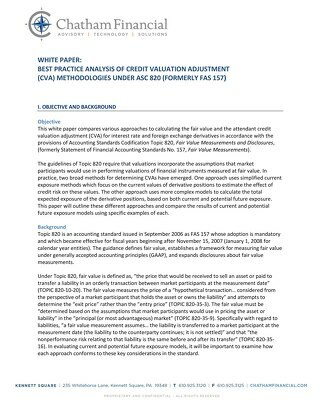 This white paper provides a thorough analysis of the five identified CVA methods for both foreign exchange and interest rate derivatives. This article will cover three key hurdles that companies face when crafting and maintaining currency hedging programs: Data, Design, and Accounting. With the introduction of ASC 820 (FAS 157), fair values in general have received increased attention. 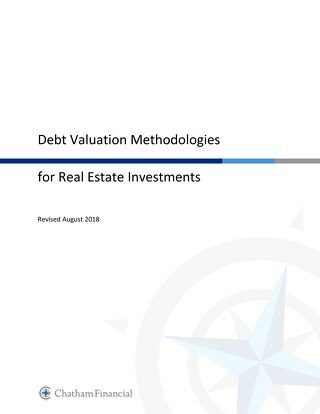 However, the fundamental concepts of debt valuations have not changed.